I get the most interesting insights from questions my kids ask me about my work. Why? Because they know very little about big data or analytics, and the questions they ask are sometimes about things that I’ve taken for granted. Every time that happens, it reminds me that the questions you ask are just as important as the answers you get, and that different perspectives are often needed to see the whole picture of a situation. 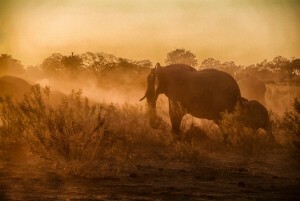 Photo: Barry Butler, Chicago, IL, taken in Botswana. A group of blind men (or men in the dark) each touch an elephant to learn what it is like. Each one feels a different part, but only one part, such as the side or the tusk. They then compare notes and learn that they are in complete disagreement. The issue, of course, is that none of them have all the information to describe the entire beast. Outliers highlight potential flaws in your model – or aspects of your data that your model does not do a good job of explaining. Outliers may be the leading indicators of a new trend that will completely upend your original model. So the opportunity before us this coming year relates to elephants – how we’ll recognize them and what we’ll do with them once we see them. And one thing is for sure – we all have elephants. The key is to find them and to recognize the opportunities they represent. The proven impact of predictive analytics. Many organizations have embraced big data and time and time again have found that it provides key answers but it also prompts questions that previously weren’t known to be asked. And because of that cheaper computing and distributed processing, we now can forgo sampling and extrapolating to analyze entire populations of data, and do it more quickly and efficiently than ever before. Restated in terms of the elephant story - not only can we recognize the elephant, we can do it more quickly. And we can find out if the elephant is alone or in a pack, whether or not the elephant is healthy or ailing, and so on. Big data also should prompt us to question assumptions, especially in marketing. The reason is that our customers' behavior and expectations have changed so radically, we need to ask if our marketing has changed in kind? How has your marketing changed in the last 5-10 years? Have you changed how you’re organized and how you do your planning? Has your approach to engaging your audiences changed? If the answer is no to any of those questions - simply ask yourself why and then think about whether or not the answer you get is good enough. One thing is for sure – our customers have changed. They also have access to more data, and easier access to computing power. And mobile devices are a key part of that empowerment, but the more important change is how mobile is changing customers' behavior and expectations, as we found in research with Northwestern University's Kellogg School of Management and summarized in a report titled, Understanding the Mobile Consumer. Along with mobile devices, social media are creating expectations of immediacy and relevance that are redefining what constitutes a satisfactory customer experience. The relationships between customers and brands are changing, but opportunities await all organizations that modernize their marketing to keep pace with their customers by using big data. To me, that’s the kind of elephant to watch out for in 2016. And however you choose to ring in the new year, enjoy the moment and mark it with the optimism that great things are on the horizon thanks to big data. And as always - thank you for following! 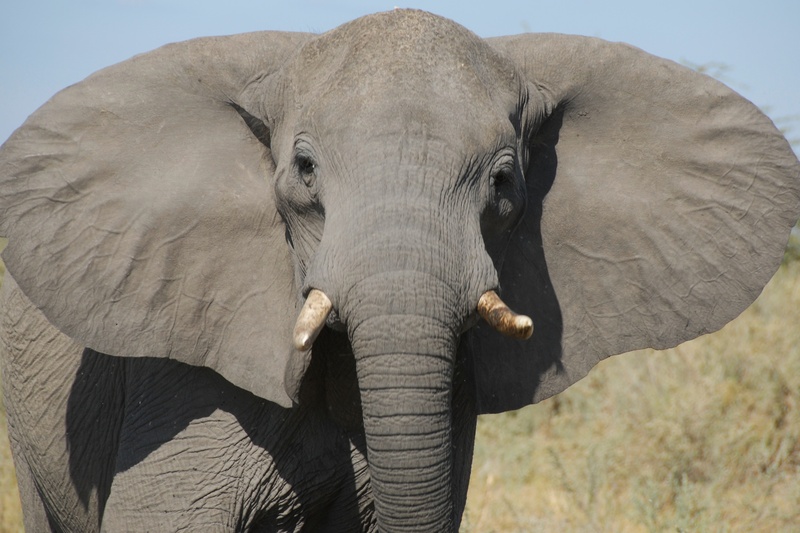 The elephants to watch out for in 2016 was published on Customer Analytics. 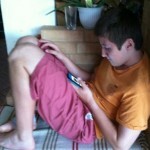 My son not using email. Email still matters. A lot. Email matters because it remains the most common form of business communications. My daughter definitely not using email. It's very versatile, allowing you to attach files and embed links, and there are time-stamps and other important functions that give it enduring value. For my kids, they simply need to know that it's the preferred channel for their teachers, bosses and other adults (such as their parents). 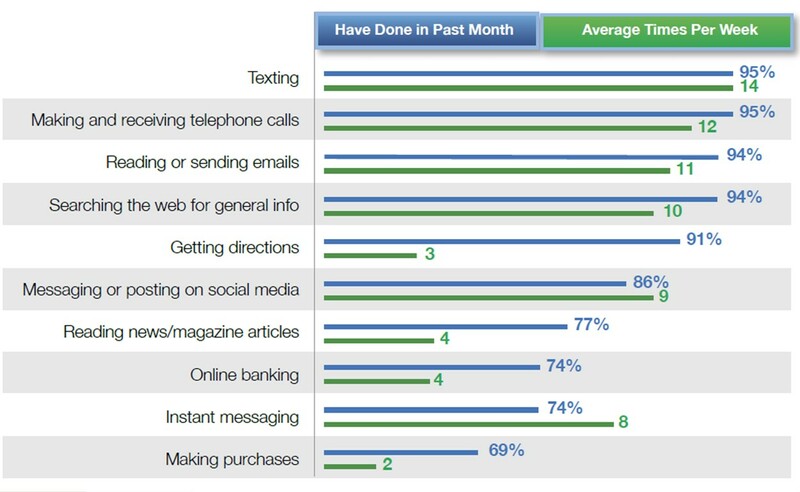 For communicating with most anyone over the age of 25, especially business decision-makers and influencers, email remains important. With that thought in mind, I stopped by the booth of Emma - a company dedicated to email and survey communications - at a recent Content Marketing World. I was immediately taken by one of their hand-outs, enticingly titled: 18 Email Stats to Know, Love, and Quote at Parties. Their booklet includes the caveat, "Please don't quote these at parties," but nowhere did it warn me to refrain from blogging about these email stats. In addition to being a nice mix of fun and helpful, what struck me about these email facts was how some of the recurring themes across many posts in this blog showed up in the advice they served up with each one. The most prominent one is the idea that we need to stop annoying our customers with email. We do that by paying attention to the relevance of our message, but also taking care to optimize our interactions so channel, frequency and other factors make sense to our customers and we're also confident we have the best combination of offers and recipients in our marketing. I hope you find this useful and thought-provoking. 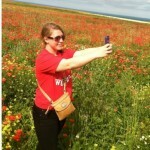 One other fun little something I'll share from Emma is the Our People page on their website. Move your cursor around on that page over each person's picture and you'll get a fun surprise and a little glimpse into their corporate culture. Let me know what you think - and as always, thank you for following! 18 fun and handy facts about email marketing was published on Customer Analytics. Starbucks is a company that has amply demonstrated that it’s about far more than pouring a cup of coffee. Their famous CEO Howard Schultz has boldly led the company to take on social impact initiatives that give their customers the opportunity to participate in those initiatives. Not all of the initiatives have been universally embraced, and others have had big positive impacts. 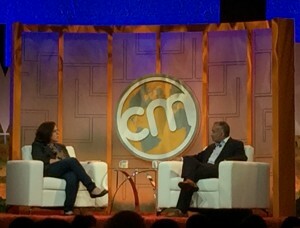 Rajiv Chandrasekaran interviewed at Content Marketing World. The book tells stories of the courage, dedication, and sacrifice of American veterans on the battlefield and their equally valuable contributions on the home front. The project resulted in the story retold in videos and other media and was promoted through the Starbucks brand and its vast network of over 7,000 locations. Good lessons about how to create content emerge from the story of For Love of Country - and not necessarily content related just to social impact. Rajiv shared these insights with the sensibilities of a journalist and the story highlights how important authenticity is to any content, along with context. This is important because the media landscape today is changing, and now almost anyone can be a content creator. And forward-leaning brands are becoming both content creators and curators. Choose authentic subjects: This is particularly important if you choose to do social impact. Choose ones that you can tackle subjectively in the eyes of your audience. And it it’s not related to social impact, then focus on areas where your brand has authority or can develop the authority as a logical extension where it’s currently positioned. Find authentic stories: People can sniff out inauthenticity, and it’s particularly true of millennials. The other reason is that authentic stories have more staying power with people and therefore they are more compelling. Partner with authentic storytellers. Whether it is in-house or folks outside your organization, doing this will give your content more impact. Content usually doesn’t have the same impact when it’s done with a ghostwriter. Take an authentic point of view. This is related to Ann Handley’s point about bolder marketing as a component to great content marketing. To do this, avoid the least common denominator and don’t be afraid to tackle controversial subjects, just try to do it with sophistication. Create an authentic context for your stories. What Starbucks did with Rajiv in writing that book fit within a broader context for Starbucks and its embrace of social causes that enabled it to make sense. Have an authentic call to action. Make sure it gives the audience a meaningful way to participate in your cause. A summary of the content from Rajiv's keynote session at Content Marketing World. So not every company has the market presence of Starbucks (or the uniquity! ), not every CEO has the star-power of Howard Schultz and not everyone can partner with an award-winning journalist to write a book. But that doesn't mean we should not strive with authenticity. And it's not simply about pleasing millennials, as important as that is. The reality is that authenticity has always mattered, and what's changed is that our always-on multimedia social media world has made it easy to spot and "out" inauthenticity. So why risk it? It's equally important that your content have context - an appropriate context. It should be meaningful to your company's values, mission or value proposition, otherwise you'll just leave your audiences wondering why you bothered creating the content. Of course, your content should be something that informs, entertains or somehow makes things easier/better for your audience, but it should also be meaningful for you - or why bother? That's the bottom line. As always - thank you for following! 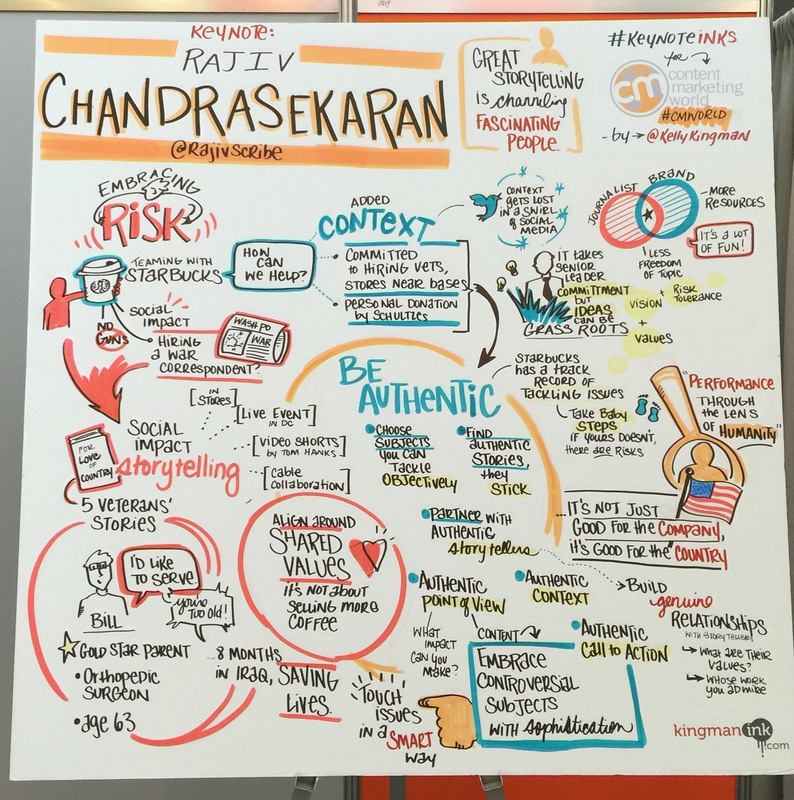 Rajiv Chandrasekaran was a keynote speaker at the Content Marketing World conference in Cleveland, Ohio. Six ways to have authentic content was published on Customer Analytics. I learned the hard way years ago that writing succinctly is hard work – and worth all the effort. Thanks to a stringent marketing professor who insisted all case write-ups be submitted on a single sheet of paper, I developed a genuine appreciation for good, clean writing and a similar affinity for someone who can speak that way as well. 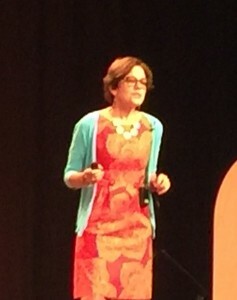 One such person is the marketing thought leader Ann Handley, Chief Content Strategist for MarketingProfs. Ann has written and spoken much about many aspects of marketing, and has a particularly well-honed expertise in content marketing. I am very pleased to share some of her pearls of wisdom on content marketing from a recent conference session. Recent research by MarketingProfs and Content Marketing Institute shows that 30% of B2B organizations know that their content is effective, and that creating engaging content continues to be the top challenge that marketers face. The most acute challenge is creating content for new platforms and media that don’t feel like advertising and are actually the kinds of content our customers want. My view is that marketers are particularly challenged to decrease the quantity of content, while raising the quality of what they’re doing less of – and it’s primarily because quality is so subjective. So how do you know? Well, the customer gets to decide the quality in very simple terms – good content works and bad content doesn’t. Ann herself says that good content is more about hearts and brains and less about budget, so quality seems to be the bigger challenge. So back to those 3 easy steps to great content marketing, here are some tips from Ann on each of them. Bigger stories are ones that put your business in the context of what people care about. So find out what their passions or their pain points are and then understand at what point you touch their lives. And to really get the bigger story, focus on how you can make those people feel like they are part of something bigger. For any business, you don’t get much bigger than your corporate mission. If your content can get your customer to understand and buy into how they connect to your corporate mission, that’s what you’re after. Think about your favorite ubiquitous coffee house chain. Is it really just about the coffee? Probably not. Or is each cup about a lifestyle that includes environmental awareness and other values and qualities not apparent without explanation? In that case, you have some storytelling to do so your customers can relate, and then willingly pay the premium you charge for all the extras that come with that beverage. For Ann, it goes beyond a good story. It’s also about creating deep value content so you can educate your customers. And the questions you can ask yourself to get at the bigger story include: How do you lead? How do you make your customers deeply smarter? How do you make the world a better place? Here is how we overcame it. And the main issue with that approach is that it doesn’t fit reality – the messy path that often happens. And there’s something appealing about the organization that shows it like it is and in ways that appeal to a tightly defined audience. An example she cites is Greatist.com, a media-centered fitness lifestyle community entering a decidedly already-crowded space. But it works because it’s centered on authentic stories that resonate because they address specific challenges their audience is facing, and in ways that haven't been told at the level of depth they desire. It works because there’s content integrity, and they’ve narrowed their audience based on reliable personas. Ann cautions us to think of personas as proxies for actual people. Personas are also like hypotheses that need to have their assumptions periodically challenged, and develop them from more than one source. A good multi-source approach might include surveys, customer conversations and data from marketing automation/CRM systems. And sometimes being brave means facing your competitors head-on. Toyota has done just that in support of their 2016 hydrogen-cell car in face of criticism from Elon Musk, the auto entrepreneur/billionaire that happens to be a major competitor. Why you are in the business you are in. What are you like to deal with and how are you signaling that. She also underscores the critical importance of your organization’s website because the narrative on it is not just copywriting – it’s a reflection of who you are. And when it’s done well, your audience still knows it’s you “when the label falls off,” or even if they see it without your logo. Ann suggests you start by defining who you are by completing statements with blanks (as if a “mad lib”). And for best results, try to do it without using these words: friendly, reliable, honest, cutting-edge, revolutionary or proactive. The idea with bolder writing is to attract like-minded and repel the timid because it’s painful when there is a mismatch. It’s also bad business to foster mismatches because those are often the customers that end up costing you more to service them than you might make with your normal prices or fees. Taking these 3 steps to great content marketing will position you to do something effective and truly remarkable - to create marketing that doesn’t really feel like marketing. 3 easy steps to great content marketing was published on Customer Analytics. 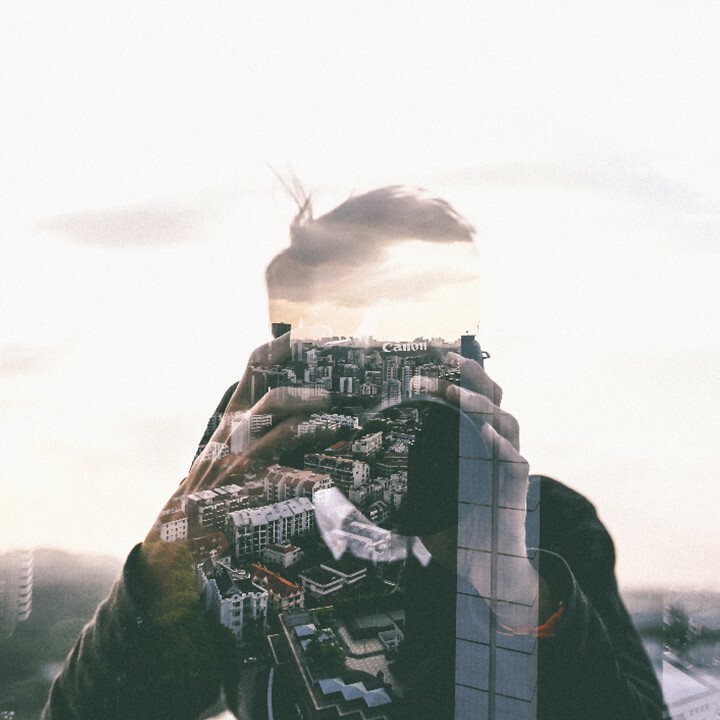 As social media burst onto the scene as a game-changer for marketing several years ago, a lot of focus was placed on the need for brands to be transparent, authentic and accountable in their interactions. Those have always been hallmarks of good business practices, but what had changed was that social media made it easy to shine a spotlight with equal fervor on honest mistakes, bad processes and corporate malfeasance, bad processes. So now that social media has become so ingrained in everyday life, it has become equally a part of marketing and the need to be transparent, authentic and accountable has certainly not gone away. Customers expect to be recognised across channels and a key requirement for any relationship building is to understand the complete cross-channel journey. Only by gaining that level of understanding will you be able to give your customers the best overall experience throughout the lifecycle of their relationships with you. In general, customers are perfectly willing to exchange their information with a commercial organisation provided they enjoy something in return. This means better and more relevant offers, improved service and more personalised attention. Customers understand and accept the logic of exchanging information but is your organisation ready for the part it must play? Examples could be: telecommunications customers exploring and visualising historical call and network data to understand what plans are best suited for their individual needs; or banking customers analysing historical financial transactions to figure out trends and their preferred investment product options. If your organisation is serious about competing on long term value creation, this transparency shouldn’t be a scary. In fact, with today’s increasing hunger for digital self-service, such initiatives are more likely to create a valuable differentiating factor. What if your customer and marketing intelligence became so rich and granular that it could actually offer value to other organisations? Could you create new revenue streams based on your customer data and your direct marketing platform? For example, telecommunications carriers around world are realising that the data and reach they have are invaluable and would be the envy of any retail marketer starting to build new business models and extend current ones. Think also of media companies and what they know about trending topics and the diffusion of information, both your own and generally. Then ask what other businesses could use that information and enjoy the reach of a publishing company; within the boundaries of appropriate privacy, of course. I agree with Daniel's view of transparency in part because it's what I wish for as a consumer and have become increasingly vocal about wanting it. A good case in point is my own family's journey with communications and content at home - the "triple play" offers of TV + internet + phone no longer appeal to us so we've cut out cable TV and now get streaming content on the internet. The heart of our issue is the hundreds of TV channels we never watched because of service bundling and the lack of transparency that underlies that outdated business practice. I also believe that there's another aspect of transparency that needs to come into play in order for it to become a competitive advantage and that's internal transparency. By that I mean cross-departmental transparency about data, how it's managed and the needed changes to processes and reporting structures that will enable the entire organization to develop those 3 aspects of transparency as a competitive advantage. And all 3 aspects of transparency are based on the intelligent use of big data with applied marketing analytics. Consider your own marketing organization and how much customers and the marketplace have changed in the last 5 years - how much have your processes and reporting structures changed? Another great view of these ideas was put forth by another colleague, Lisa Loftis, who wrote this paper, Beyond the Campaign: Leading Marketing into the Future. Go ahead and register for this paper - I promise it's worth reading. Marketing transparency as a competitive advantage was published on Customer Analytics. 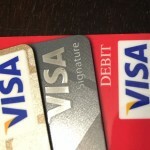 How often do you give much thought to your card swipe? It’s become so commonplace that I doubt you think of it at all – and that’s how it's supposed to be. Fast, easy and a complete non-event so you can be on your way in no time at all - often just a second before you’re prompted for your signature, or directly given your receipt. Look at what I found in my wallet! What’s amazing is to find out what happens in that second between the swipe and the receipt – funds are verified, the transaction is analyzed for fraud risk, an approval is rendered and recorded and a transaction fee is applied. And the whole transaction is a simultaneous customer experience for you, the merchant, the financial institution and the payment processor, such as Visa. 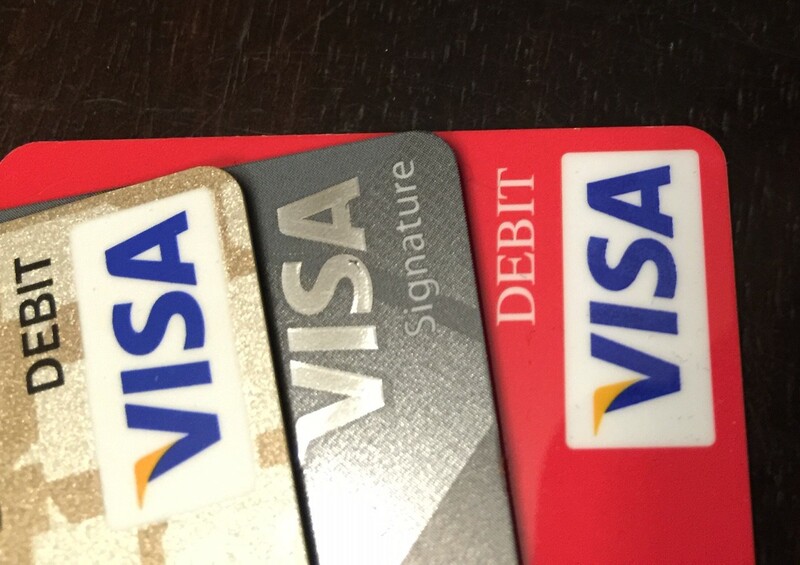 Visa has been a pioneer in cashless payment processing for over 50 years and has grown to become one of the world’s most recognized brands. And one of the drivers of their recognition has been their ability to provide a consistent and secure transaction millions of times throughout the world around the clock. One of the most important priorities has been to operate on that real-time basis and maintain the integrity of the transaction - every time. At any given time and in any given transaction, Visa analyzes up to 500 unique variables in real time to assess the risk of that transaction. With analytics and by using vast data sets, including global fraud hotspots and transactional patterns, the company can more accurately assess whether your transaction is legitimate or if someone stole your credit card. And that’s all done in real-time! Visa estimates that analytics has the potential to prevent an incremental $2 Billion of fraudulent payment volume annually. For more details on this fascinating story, tune in to the short video below featuring Visa executive Nathan Falkenborg describing the impact that analytics has on the card-swiping customers’ experience. Your card swipe is a real-time customer experience was published on Customer Analytics. 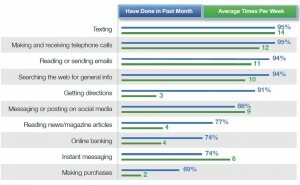 What are mobile consumers thinking? Why are they thinking that? And how is their customer experience different with mobile? As the world is going mobile, those were the questions on our mind as we kicked off an important research project with Northwestern University’s Kellogg School of Management (the Research). We were motivated to zero in on those questions because of all the technological advances that have transformed marketing of late, mobile is perhaps the biggest game-changer. The advent of smartphones, tablets and wearable devices are key engagement portals that are driving a fundamental paradigm shift in how customers engage with organizations. As a result, how marketers engage with customers has to undergo an equally radical change. Over half of the consumers responded that they are opting in via mobile to receive information as well as promotional offers from businesses. During 2014, we reached what ComScore has termed the “App Majority,” or when the majority of all digital media time spent occurs on mobile apps. The Research found that 95% of smartphone and tablet users have downloaded at least one app, while the average is 6 apps. At the same time, the most active apps identified were those for leisure or entertainment use: social media, games and music apps - not only the most downloaded, but the most used. And it turns out that banking, shopping and deal/promotional apps were the only business related apps in the top ten most actively used among the respondents. The Research highlighted opportunities for organizations by addressing the gap between consumers’ expectations of mobile and the mobile experience they are actually provided. That idea is significant given the growing number of consumers for whom mobile is the “first screen” and primary portal to the internet. 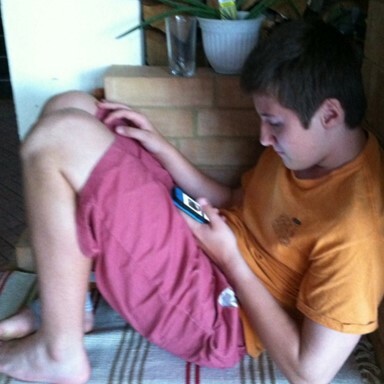 People use their phones and tablets to read and respond to emails on the go, search the web for information and directions, and post to social media. The Research found mobile serves as the ultimate transaction convenience, particularly for the functions shown to the right. To keep pace with the empowered consumer, it's critical to understand their attitudes around mobile. Doing that can guide strategy to capitalize on the marketing opportunities unique to the mobile environment. In additional to defining consumer mobile usage and behavior previously discussed, the Research provided insight into the attitudinal factors that impact mobile usage. Each of those segments have attributes showing various stages of adoption and maturity in their use of mobile, similar to adoption curves for other new technologies. Ultimately, it's the digital nature of mobile that enables brands to make customer engagements more personalized through marketing analytics. And that development enables the marketer to meet the new and changing expectations of their mobile customers. 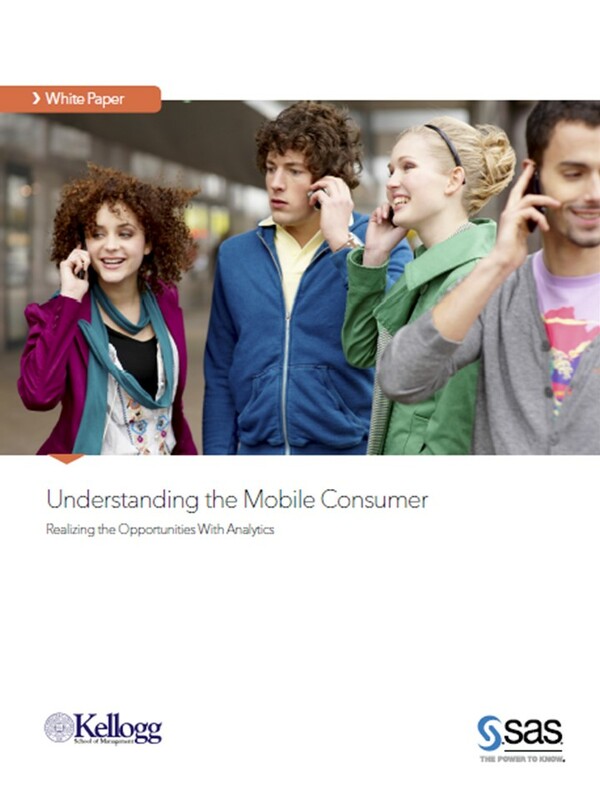 These conclusions and more are detailed in the report based on the research, titled "Understanding the Mobile Consumer, Realizing the Opportunities with Analytics." I encourage you to download it and read for yourself what mobile consumers are thinking and doing, and what you can do about it. 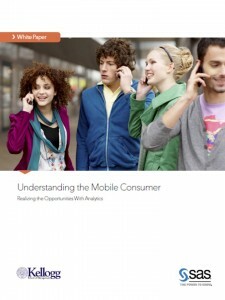 What are mobile consumers thinking? was published on Customer Analytics.